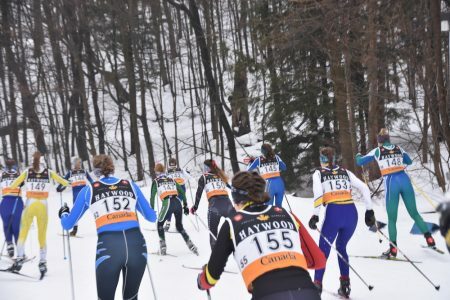 The NorAm series went to Duntroon, Ontario, for the Canadian Eastern Championships: three days of varied weather, new race formats, and new faces on the podium, all hosted by Highlands Trailblazers. 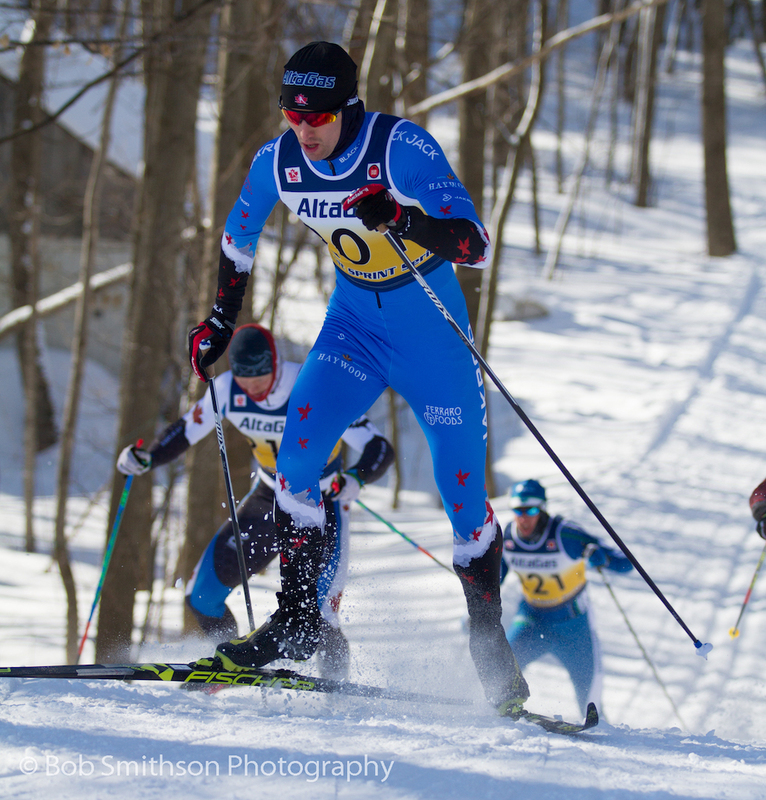 Easterns is possibly the most storied ski race in Canada. 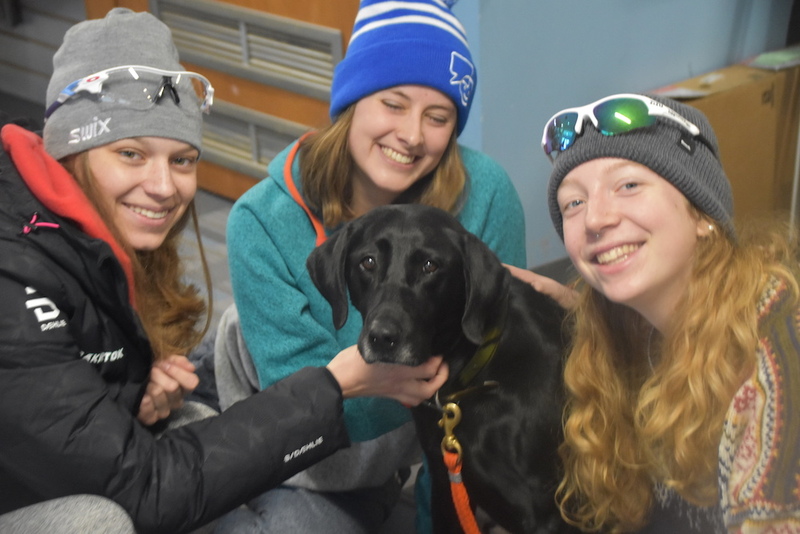 Most years, it is the largest FIS event in North America. This year, the Polar Vortex froze out the travel ambitions for many families and lower budgets in the post-Olympic season persuaded many western teams to stay home. Despite these challenges, over 450 athletes braved the difficult road conditions to hit the start line. Easterns was ringing in the changes this year. This may be the first ever NorAm where the men and women skied the same distance on the same courses in every event. The two-day pursuit reappeared for the first time at this level since 2000. The two-day pursuit format was introduced in 1988. 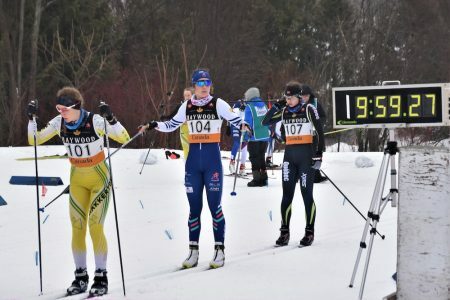 Based on the Gunderson start in Nordic Combined, there was an interval start classic race on the first day and a free technique pursuit on the second, with medals awarded for both days, but no time-of-day points for the second. In 2002, the two-day pursuit was replaced with the same-day pursuit, with no medals for the classic portion and a two hour break before the skate. Beckie Scott won all three medals in this event at the Salt Lake Olympics. In 2003, this was changed to ‘continuous pursuit’, sometimes referred to as ‘pursuit without a break’. The format name was quickly shortened to ‘pursuit’, which confused people until 2011 when FIS acquired rights to the name ‘skiathlon’, allowing ‘pursuit’ to be used for the final day of a mini-tour. CCC wrote a history in 2011 to celebrate the new name. In the summer of 2018, FIS dropped the skiathlon format, which brings us back to a format that most of the athletes racing today will not remember. The weather also came out to play: -18 Celcius (C) and windy for official training, -12 C and sunny for the sprint heats, -9 C and 37 km/h winds for Saturday’s classic, and +3 C and freezing drizzle and rain for Sunday’s pursuit. Men’s A final: Julien Locke (CNST), Dominique Moncion-Groulx (Team R.A.D. 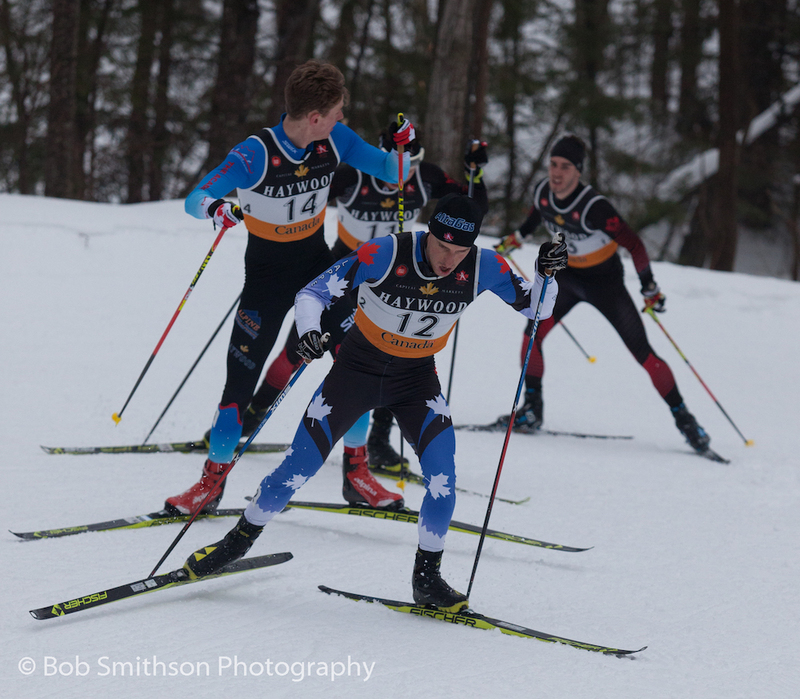 ), Antoine Briand (CNEPH), Andy Shields (Lappe), Étienne Hébert (AWCA), Angus Foster (TBay). There are no official results or times for the sprints. Friday started cold and sunny for the 1.5km classic sprints, a welcome relief after cold and windy weather on the official training day. The course worked well for Locke, as he won the qualifier by over 4 seconds. 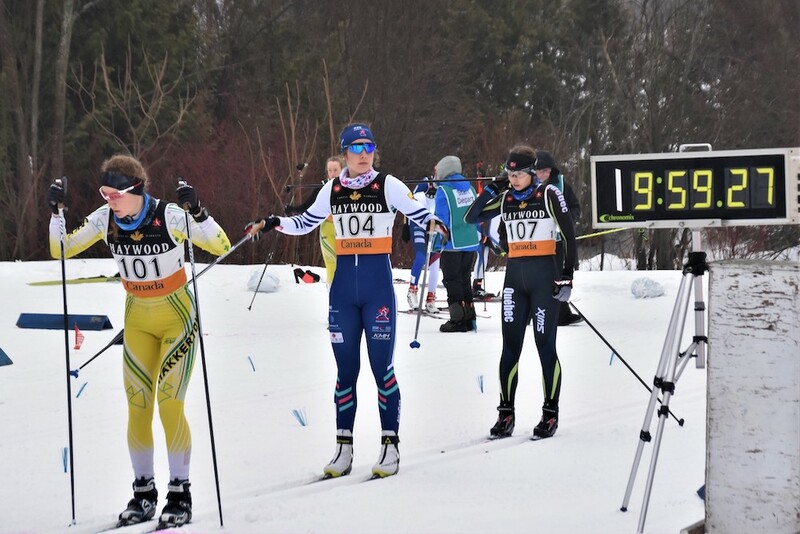 Zoe Williams (Nakkertok) won her first career NorAm, two weeks after her first podium and narrowly missing the selection for World Championships. The women’s A final was chaotic. Each of the three women on the podium had their own view of the action. It was Serratore’s first NorAm podium. The men followed with tactics that emphasized staying out of trouble. Some of the athletes were feeling the effects of racing the US SuperTour after the Bishop’s University NorAms. Saturday brought in wind and warmer weather for the 10km classic race. The 5km loop had two main uphills immediately followed by downhills. Serratore finished second, 37.82 seconds back. Leclair didn’t get the benefit of timely splits or good rides, but was able to grab third at 1:18.40, just 0.18 seconds ahead of Annika Richardson. Among the men, Alexis Dumas (CNEPH) came the closest to even splits, crossing the line in 30:04.8 for the win. Shields was second, 16.67 back, after an error in the unofficial results was corrected. Boucher was happy with his third place, 21.57 seconds back. Sunday brought freezing drizzle replaced by rain which resulted in significant challenges in picking the right skis for the changing conditions. The start times for the skate pursuit are based on time back in Saturday’s classic race, with no bonuses awarded. Leclair took her first senior NorAm win, starting third at 46 seconds back. 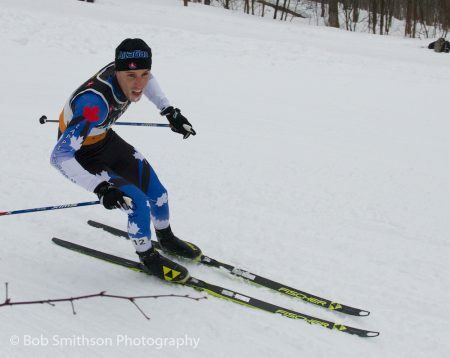 Jack Carlyle earned his first senior NorAm win as well, as the top four men neatly reversed their start order at the finish. None of the athletes commented on gender equality, but there were lots of opinions on what was, for most, their first two-day pursuit. “I’m not a big fan of two day pursuits, I think mini-tour with a sprint on the Friday is way more fun. “My favourite moment was seeing my coach Camille holding out a coke feed at 3.75km to go, I really needed the boost of energy.” — Richardson was happiest on Sunday, and not just for her first podium. “It’s been -40 in Thunder Bay so I was happy to enjoy some sun and some warmer weather today.” –Serratore, on Friday’s -12 weather. “My favorite moment was definitely my win today because I surprised myself. I am happy with the sprint final as well.” — Leclair, who likes surprises.